It would be fallacious to say that all entrepreneurs share a common DNA. However, most entrepreneurs will agree with you that their success came as a result of incessant practice of what could be termed as success rituals. These are the constant intransformable beliefs and practices that guide one on a journey to mega achievements. Other entrepreneurs and leaders also have permanent don’ts that define their character. 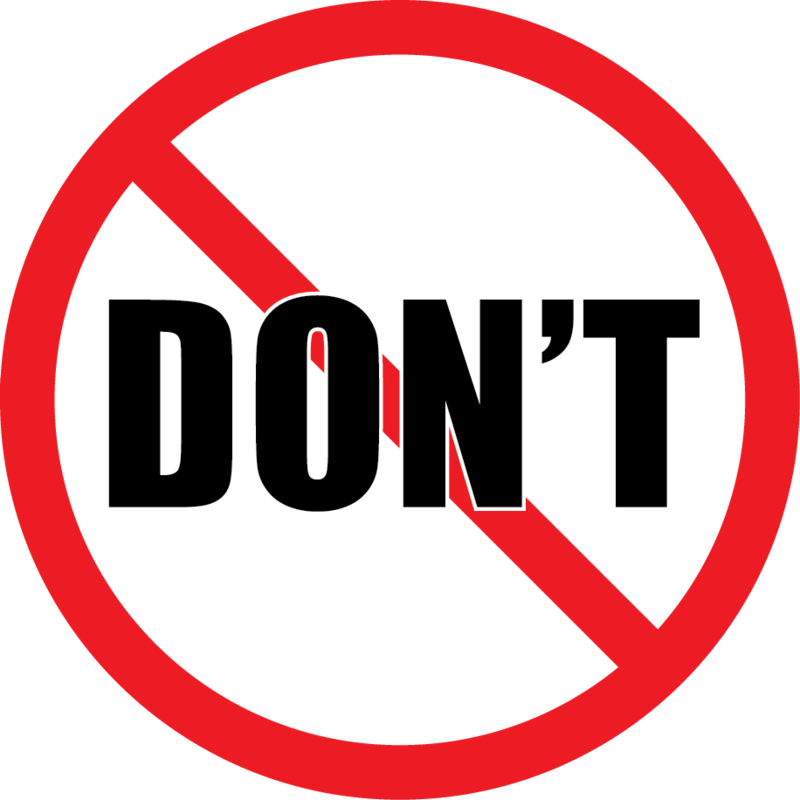 All entrepreneurs and leader should have at least these 5 “don’ts” in their organization. Regrets mean that you are more engaged to the past than the present or future. Regrets can only ground you and keep your vision myopic blocking you from visualizing better opportunities ahead. Shake the past off but learn from history. It is also important to understand that the efforts that have brought you thus far are not the same as the ones you will apply to take you where your vision and dreams direct you. I once heard of a common pun that goes; “an idle mind is a devils work shop.” there it is, you heard it from the wise so do not be idle. Think of things that needs to be changed. Do the work you have pending even if it means sweeping the office. Write a blog if you want to get your mind away from work. Build your social media platform. Never sit doing nothing unless it is your time to meditate. How is your work place looking? Take a minute and look around you? Do you have papers all over your desk? Coffee cups that needs to be thrown away or cleaned? Books that are not arranged? Open envelops that litter your work space? Be organized. It is really hard to think wide and deep if your work place is in a mess. Instead of stressing about it? Take the initiative of cleaning your work place even if it is only 5 minutes of your time everyday. Be neat, it rewards. Settling for less means that you under-value your efforts and that greatness is not quite what you want in life. You cannot build competency if all you do is mediocre. Mediocrity slowly build to mega failure because it involves being satisfied with less. Impossibility is a sweet word used before a task is started and often times great opportunities are the ones that are highly considered impossible. Try doing something even if the outcome is imperfect. There is a difference between being imperfect and mediocrity. If you are trying your best and giving it all yet the results are not to the expected par, that is understandable. One needs to try and find out why that is so and rectify it. To say that something is impossible is to get into an action with a cold feet. Never believe in negativity. Keep giving it your best. The number one and best investment you can ever be part of is to educate yourself. This is the beginning of all success because nobody can be successful in a field they do not understand. According to statistics, 75% of Americans believe that they will become successful playing lottery. Not that it is bad to have high hopes, but the chances of of becoming successful from playing lottery are minuscule. That leaves us with two options, to smarten ourselves up and to work hard towards our dreams. I have compiled a number of resources here for you that will help you determine the course of life you want to take. You have all the choices in your life to be either a lottery hopeful or to start today and become a better person. 1. Coursera. The reason I am giving this a top priority is because of how advanced, comprehensive and wide the programs are. I have personally used them and found them to be very very helpful. They have also merged with other first class universities around the world to offer people free education with certificates at the end of every program. Their courses last about 3-8 weeks and are very flexible. You work on it whenever you have time. It is also a great place to build networks with other students that can help you once you are done with your program. 2. Codecademy. It is my curiosity that brought me here and Codecademy taught me coding just like the name suggests. I am never satisfied knowing only one thing. I am passionate about improving my skills and brain power and that is why I had to take programming courses. Out of this cause, my friend and I build an Android motivational app that can freely be downloaded here: MOTIVET. 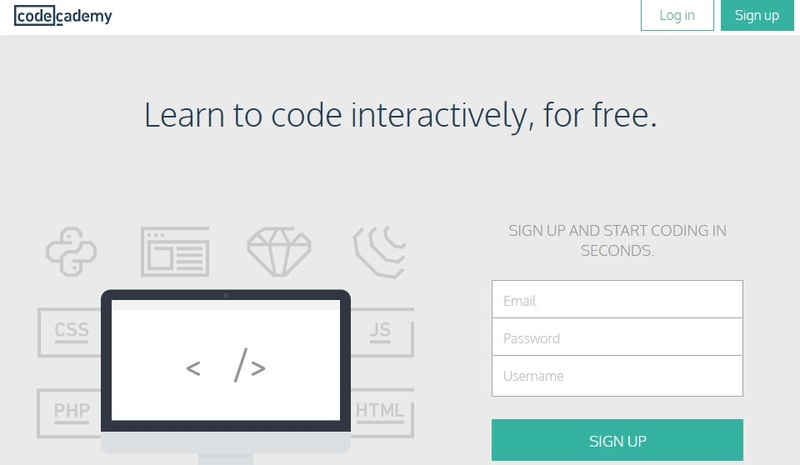 Codecademy is free for all, very interactive and offers you hands-on learning (Do as you learn). 3. Udemy. If you are looking for courses and lessons that you can customize to fit within your skills then Udemy is the place to be. The site is almost similar to Coursera and offers the best courses from top universities around our beautiful planet Earth. You name it, they have it. The only question is, are you willing to put in time? 4 . Harvard Extension. The only thing that Barack Obama, Al Gore, Bill Gates, Dean Norris, Franklin Roosevelt, George W Bush among others share in common is that they all went to Harvard. Now this prestigious university is giving back to people like you and I who have ambition and determination to supers the names above. And guess what? You can do it! 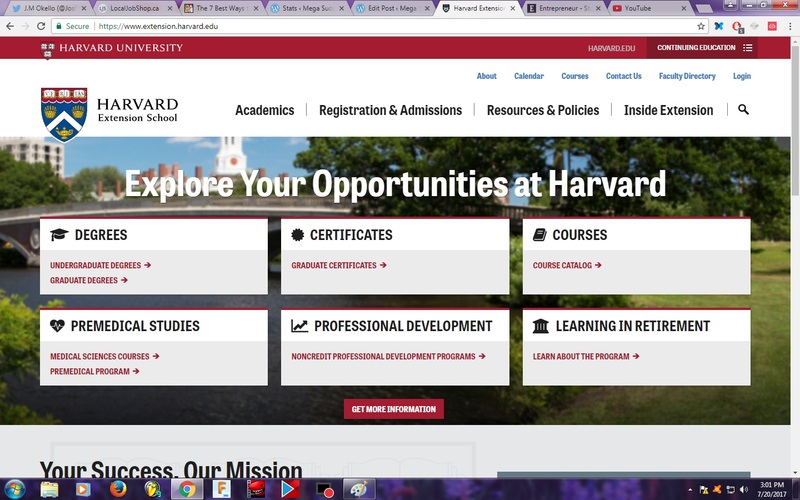 You can now take Harvard courses at the comfort of your couch. I highly recommend their free courses. They are totally worth your time. 5. Code: Another great site for computer programming especially if you want to get into the field of Apps. Apps are and still will be relevant as long as you can design and solve a problem that nobody has tackled yet. Code also have amazing kids program so if you have a child that you think is techy, then send them to Code site so that they can build their skills at an early age. 6. University of London. If you like to listen to audio books and podcasts then this site is for you. 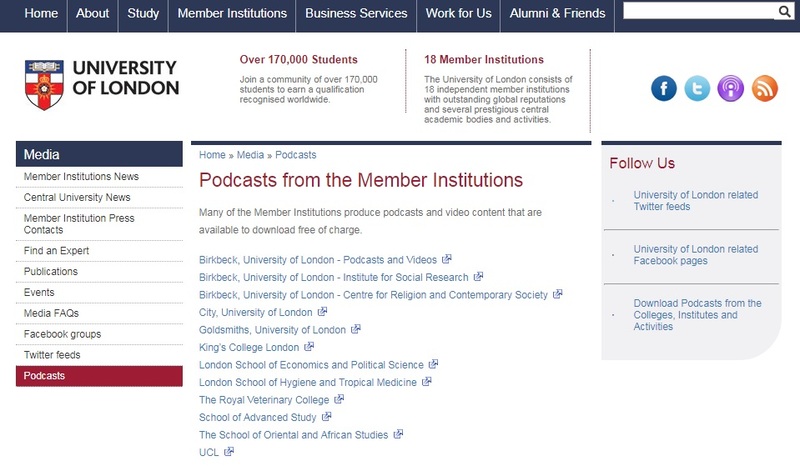 University of London airs podcasts of courses from its campuses and has also partnered with over ten universities around London to help you and I build our skills so we can achieve our dreams. I personally like to listen to their podcasts when I am running/jogging or when I am doing home chores. It is a very smart way of spending your time. 7. YouTube. This site is not only for entertainment and watching cat videos. There are lessons in the field of finance, business, leadership, motivation that can be helpful in building your skills. On top of listening to great music, you can now take another route with your entertainment and listen to skill building courses on YouTube. 8. Entrepreneur. If you are in business and like to be motivated by people who have failed and got a second chance to prove themselves and what they are worth, then Entrepreneur.com might be the place for you. There are great resources, videos, articles from pundits around the world who have made it in life. Go check them out and who knows, you could be the next big thing on entrepreneur.com. 9. 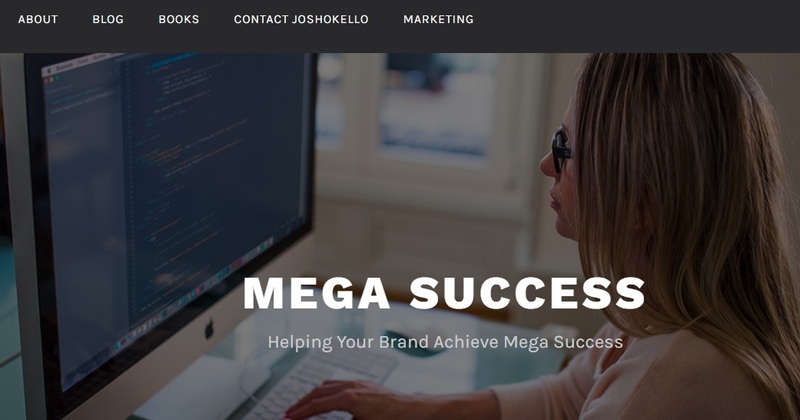 JoshOkello.com. We have great articles that have inspired many. And of cause if you enjoyed reading this article, please subscribe and get motivational, educational and skill building resources free of charge from us and our amazing guest bloggers. If you are a writer, please consider submitting your articles with us for publication. Please Share, comment, like/favourite and subscribe for more posts like this. 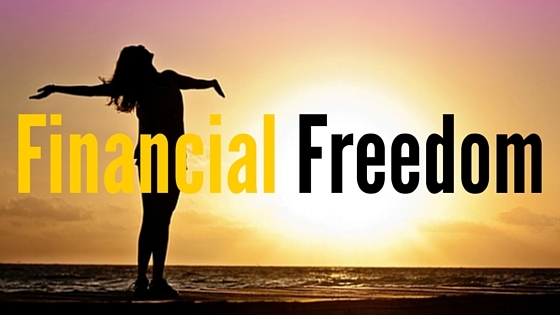 We all have dreamed of living debt free life but how do we do it in this credit card era? One of the debts that is hard to grapple with is a mortgage debt simply because it is the most voluminous investment most people do. Signing up for over $200,000 home debt can be a blessing in disguise but we always think of the big question, “How can I get out of this huge debt sooner? I strongly believe that Real Estate is still going to be the best investment anybody can try for the next fifty years especially if you are willing to hold the property for a longer period of time. If you research on google how to pay your mortgage faster on Google, you will meet crazy titles like, “How I paid my mortgage in two years,” “How this family cleared their mortgage in 5 years” and I am sorry to burst your bubble, all those are trash talk! Clearing your mortgage in a short period of time boils down to this simple dogma, “Increase Your Principle” Period! Here is an example: $100,000 mortgage at 6% interest rate paid over a period of 30 years has a monthly payment of about $599.55 and only about $99 going to principle in the first months. Adding another $99 will double your principle, eliminate about 107 payments over the life of the loan, save you about $39,900 in interest expenses and shorten the mortgage period to about 21 years. WOW! If that did not inspire you then I am not sure what will. The only reason why financial institutions like the longer period of payments is because they are the ones who smile at the end of the day. The longer your payment period, the higher the interest you will pay therefore you are losing more. However, it is also important to note that refinancing to shorter mortgage period will increase your principle tremendously but reduce your interest. Do the math and check what works for you. Caution! Some financial institution have got stringent rules on how much you can go over your required annual payment, therefore, consult them before you increase your monthly principle. Take your monthly payment divide it by two and pay that amount after every two weeks. There are 52 weeks in a year and if you do bi-weekly payments then you will get about 26 payments. This means that you are adding an extra full payment per year. For a mortgage period of 30 years, you could be reducing your mortgage lifespan by about 6 years if you take this route. Find which option or a combination that works for you but always remember to save extra money for when life happens. Since none of us can predict what tomorrow will bring, you want to have at least a 6 months worth of savings in your account for emergencies. So write a budget, save and do the math. If you are interested in reading more about my works, please subscribe. 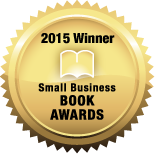 You can also get my award-winning book on leadership and success by Clicking Here . If you are reading this in 2016, you should count yourself super lucky to have lived at the same time as the world’s greatest man! Muhammad Ali touched so many lives and can be listed in the list of icons such as Nelson Mandela. But his life story could mean absolutely nothing to us if we have nothing to glean from it. So what can we learn from the legendary king of the cage? A lot of us spend time living other people’s lives. Yes we know you want to be the next great icon you have in your life but don’t forget that you can be the greatest in the world without impersonating someone else. Are you caring enough to care about what other people are going through? Muhammad Ali once said that “if people can love each other the same way they love me, then the world would be a better place.” never love people because they are on their prime time but love them because we belong to a tribe called humanity. Love all, care for all and be compassionate. If you think Muhammad Ali was only the greatest athlete who ever lived, then you are wrong. He actually used boxing as a platform to be who he was. Ali was a voice of the people, he was a culture changer, a beckon of hope, an inspiration to millions of people. He negotiated and mediated peace across the world. Find your point of entry and build that platform then do more than what you are known for. Elon Musk started with Pay-Pal, moved to Tesla, Space-X and now a great promoter of natural clean energy. What is your entry point? By this I do not mean domineering and dictatorial kind of control, but figure out how to position yourself as a leader in everything you do. Ali learned how to control people even when his back was against the ring. A lot of mixed martial artists know that when you are in the middle of the ring/cage and your opponents back is against or facing the ring then you are the one controlling the game. This strategy has been widely used by judges who score the fights in Mixed Martial Arts. Ali was so good that he did not need to be on the middle of the ring to control his opponent. Something else that he did successfully was to get in people’s minds. He really knew how to set minds captive and obey him. This is a strategy that you need to build to be the greatest. Saying it is not enough, you have to do it and once you start doing it then you will learn the challenges involved. Never give up! Keep on going on until it is done then keep doing more! A lot of people are always trying to find out how to make money and multiply their wealth. The question is, “is there a formula towards wealth acquisition?” or “how do the poor get rich?” We are always familiar with this sad quote, “the rich get richer and the poor get poorer” but it doesn’t have to be this way. I am going to share with you how you can lift yourself up and gain wealth if you start planning your finances today. Are you currently employed? If your answer is yes, how much do you earn? If your answer is not a lot, then have you considered taking another part time job? Remember: to compete with the best, you have to be the best yourself. It does not matter if it is a manual job or a white collar job. Just find something else to help you boost your income level. This is what I like to call leveraged expenses. If you get another source of income, you stand a chance of saving for your investments. Publishing – Write a book in a field you understand better. There are so many people out there who would like to learn something from experts like you. This has worked for me and that is why I am sharing it here as my number one point. I have written books on entrepreneurship and success and you can find them here for as cheap as $0.99 cent. Click this Link to Grab a Copy. If you do not know how to write a book, then click How to be a Prolific Writer for a free manual with no sign up on how to write more than 3 books in a year. Lawn Mowing – Did you know that in your city, there are some people who are so busy, they have no time to take care of their yard or even clean their houses, or even go grocery shopping? How about getting paid to do that? Remember, you are starting out so you do not have to be picky after all, once you have your money in the bank, it does not read, “received from doing such and such a thing.” It is a saving! It is also important to watch your expenditure. Write a budget and stay within affordable expenses. Only buy those things that you need and consider downsizing. You can sell those things that clatter your place online for a descent amount of money. This will keep you organized so you can focus only on those things that are important. Be honest with yourself and your friends and let them know that you are cutting down partying because you are saving to buy a house. You will gain their respect. What do you want to accomplish? Are you familiar with that field? I always wanted to be in marketing, entrepreneurship, publishing and finance and those are the books that I read. You do not even have to spend a dime to educate yourself. There are a lot of free articles and online resources that you can use to learn and master your trades. Some even do offer certificates once you are done. (I will do an article on free resources you can use to invest in yourself this week so feel free to visit again). Anybody who is interested in accumulating wealth should know at least the basics on time value of money, mortgages, interest rates, annuities, perpetuities and terms such as dividends and equities. Try and get as much information as you can. The best part of owning a capital asset is that it generates cash flow with least amount of your efforts. You can still be doing what you like to do and expect money to come in. One of the many capital assets that a lot of wealthy people go with these days is real estate. Find a house in a suitable location, purchase it and rent it out. Charge the amount that can bring you profit as well as pay the mortgage. Shop for a responsible tenant and lease the house to her/him and let them know that they will be in charge of the property. Within 15-20 years, you will have cleared the mortgage, and start earning profit on the house. If you make a number of purchases like this, you can imagine what you can be 25 years from today. Before you do this, make sure that you have done your math and only borrow when you know that the profit margin will be higher than the interest rate you pay and that is how you will be making profits. If done well, you can repay back the money and make easily any amount you set your mind on. What you are trying to avoid is negative cash-flow where you have to figure out how to pay back the lender. For this reason, go for projects that will have a steady and predictable cash-flow. This is an investment that is funded by shareholders and traded in diversified holdings and is managed professionally. A lot of people do not know that they can earn interests on such investments. If you take it as an income generating asset, it can be profitable but first, make sure you do your research well before you invest in mutual funds. Some dividend stocks pay quarterly and the wait period can be discouraging to some people. It could be a safe investment if you are patient enough to wait and if you get the right stocks. Did you find this article helpful? Feel free to comment, ask questions and I will respond within 48 hours. Summer is around the corner but how will you spend your time? I understand it is a fun season but what if you were to trade your time with some cash? Instead of thinking how many parties you are going to attend this summer, how about thinking how many portfolios will you run? How many streams of cash flows will you have? And how much will you make while party people enjoy their hard earned money? What if they spend it on a service you offer? There are so many ways to be financially stable this summer and here is a list on what you can do to boost your financial status. We all love cake, either for breakfast, parties, weddings, or even as a dessert. So how about baking for those who do not like to bake? Good thing with this business is that you do not need special equipment if you already have an oven at home. Go online and find a recipe that you think is great, test it first to ensure that it gives you quality products. Design flyers on your computer or even on your Android phone and print them. Distribute them to your neighbours and make sure you let them know that you do door-to-door delivery. Market your business to your church friends, Facebook friends, school and family. Start marketing in the spring so by early summer you can have a few people taking orders already. Most people are gifted and are very good with crafts. If you can draw, paint, write, make baskets, stitching, then summer is your time to visit your bank smiling. I personally write and draw. On the left is a sample of one of my arts. Visit galleries and ask them to host a few of your works. Sell on kijiji, Etsy or Amazon and use social media to leverage your marketing cost. Just take a picture of your work and send it to all your social media following. Everybody loves art so sell, sell, sell! People want to know what kind of information you have. That is why writing has been divided into genres. Are you a poet, or a fiction writer? What are you good at? Write about it! If you like food, write about food, write recipes, or even a book about restaurants that you visited and what you ate there. People want to know and that is why your book will sell. When, writing, do not write for money, write from your heart with intentions to share knowledge. I personally write on business, leadership and philosophy. Click this Link to Find my Books at highly reduced prices. Make sure that your books are well edited and professionally done. You can find amazing editors for $5.00 only on Fivver so make use of such sites to offer people a quality product. What are you good at and how can you give back to the society? Your community needs your expertise. Can you coach/tutor math, science, soccer, hockey, basketball? Start a club and share your ideas with people and people will always support you when you are going to benefit the community. Are you good in business or leadership? 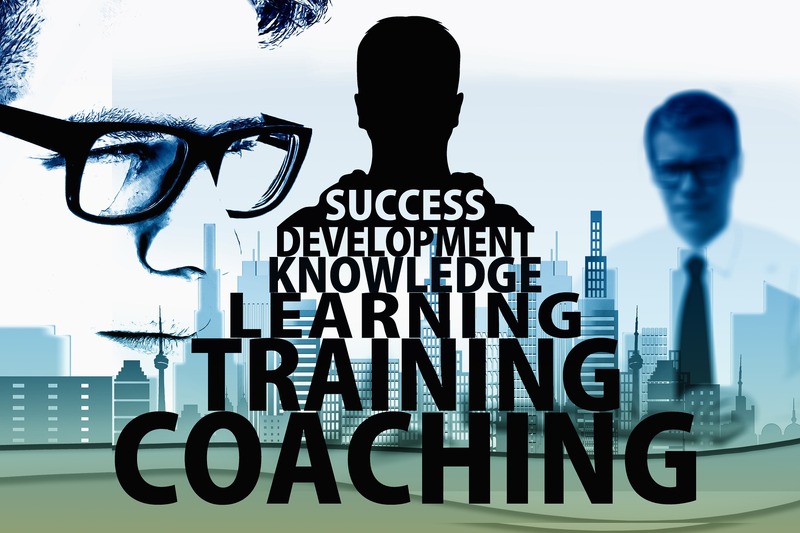 How about coaching business leaders in your town? Every business has a struggle they are going through so to offer a solution to them can be a good way of putting your knowledge at work. Car detailing is a thorough cleaning of the car with an aim of bringing its quality to a show room standard. This means cleaning both interior and exterior of the car. Learn a few tips online on how to do it and once you have brushes, detergents, wax, clothes and water, then you are set to start your own detailing business. Just make sure you do not take more orders than you can handle. I will recommend taking a maximum of two cars per day. If you do door to door then it saves you the cost of water and you do not have to worry about drainage since most homes today have good drainage system for waste water. Here is a link that can help you learn how to do car detailing. Car Detailing Lessons. Are you tech savvy? Can you manipulate photos or even hand-make them? Design party cards, birthday cards, holiday cards, love cards, thank you cards, engagement cards, Christmas cards and sell them. We all have junks that we want to get rid of. For some reason we do not know why those old clothes and picture frames are in our closet. You remember those prom shoes you wore many moons ago? How about those hand bags that are making your room a museum? Look at those books and novels on your shelf. What will I find if I visit your storage room, your garage? Will you be happy to show me what you got? Well maybe it is time to make a few bucks out of those wealth we do not want to get rid of yet they do not add any value to us. So what is your plan? Did I forget any other idea? Please comment and share it down here. We all want to help and grow one another. Plan your summer now. I want to sincerely thank all my followers and readers who have stood with me and encouraged me as an author. I am inspired by your positive attitudes and great comments that you have been giving me. I want you to know that I am sincerely grateful for all the support you shown me last weekend. My book Entrepreneurship Philosophia got a lot of orders with our free Kindle promotion. So once again from the bottom of my heart, THANK YOU SO MUCH. Here is a screenshot of the book orders since I put it on Amazon shelf. This has been possible because of the strong support I get from great followers like you. I have learned a lot from my followers and readers and I want you to know that you make me who I am and I will be honest and sincere with my writings making sure that I only give you contents from my heart. With this kind of trust that you have shown me, I would like to give back to you all. I also want to recognize and salute those who ordered more than one book! Keep up the spirit of reading. The more you read, the more you learn. Thank you so much and have a blessed week.